I find living spaces, intriguing and heartwarming. The spaces where we live and work, define us, mold us, and inspire us. They also tell our unique stories, dreams and engage with our spirit. 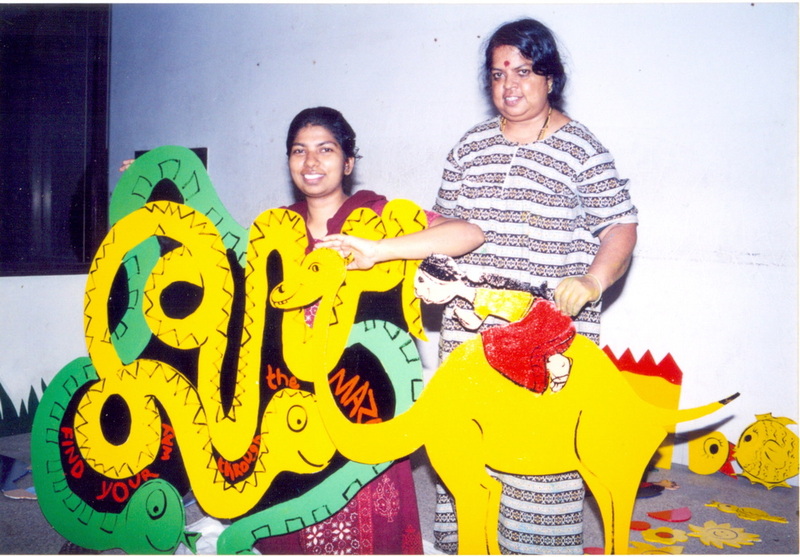 The Painted Wood Cut Story Series for Sankara Nethralaya, I did along with Nancy Raj, my mother and our wonderful carpenter Arumugam and his team. 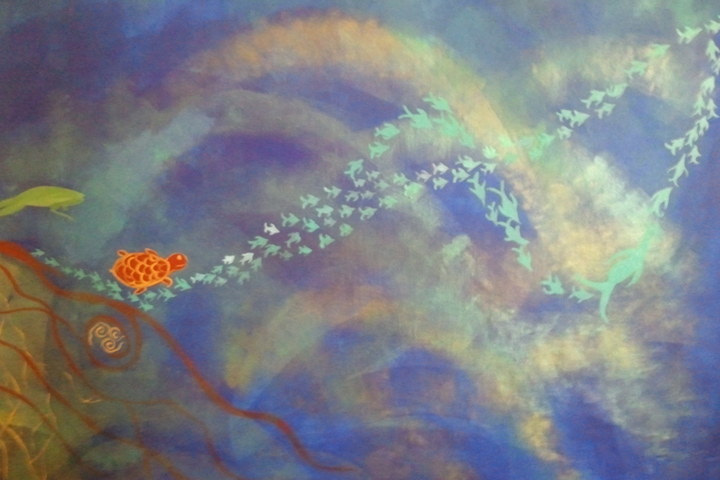 Exploring five different land/sea forms based on Tamil Literature - Sea, Forest, Mountain, Field and deserts, children(4 characters that we created) have fun with the flora and fauna of each region. 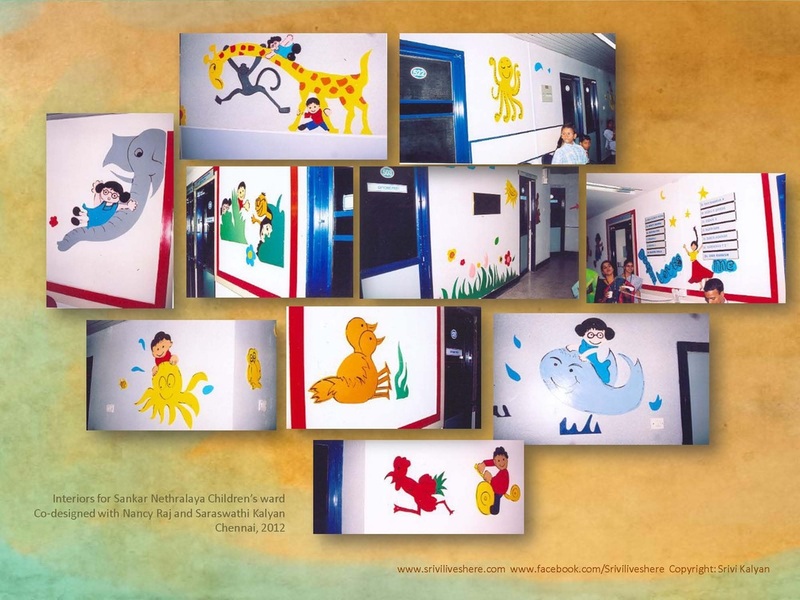 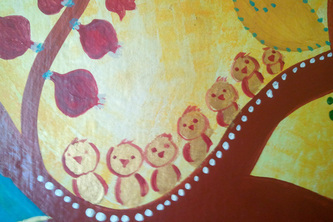 Bold, fun and engaging forms of children and nature, interconnected and telling their stories in myriad nature scapes; about 360 individual wood cut pieces fill the walls of the hospital and the individual Doctor's rooms. 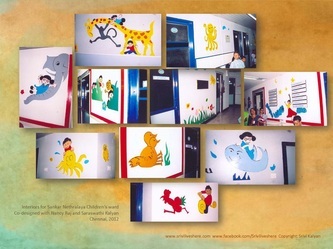 This project was conceived to make visiting children feel comfortable and happy while consulting specialists. 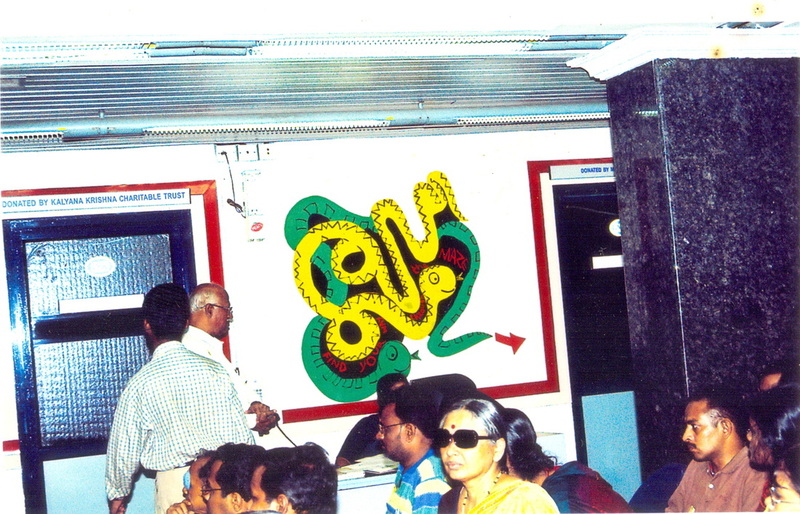 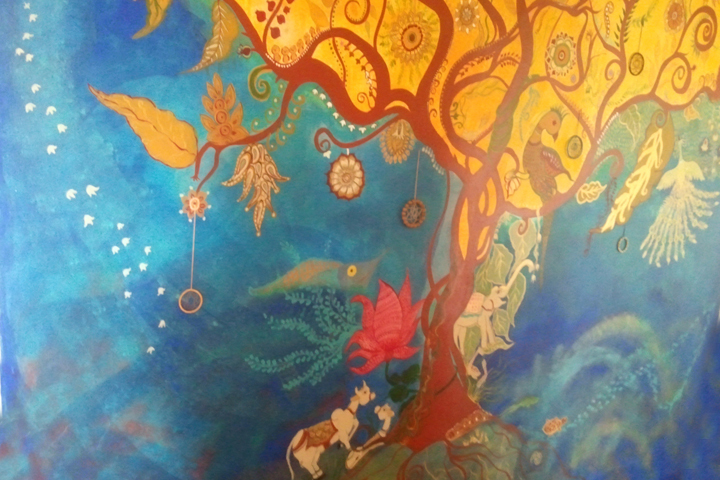 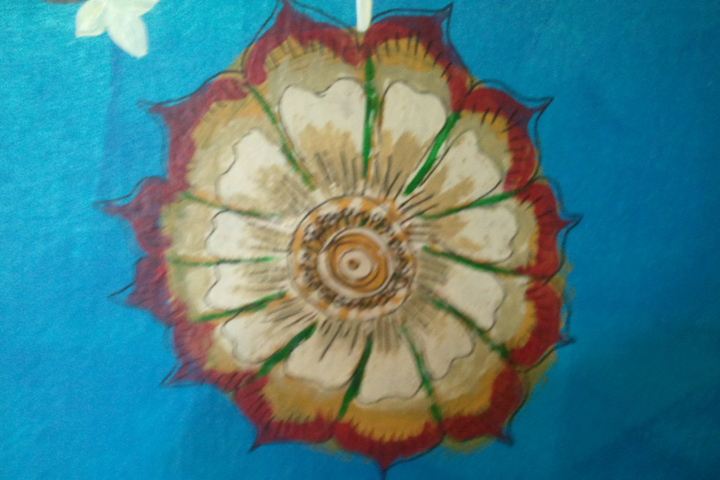 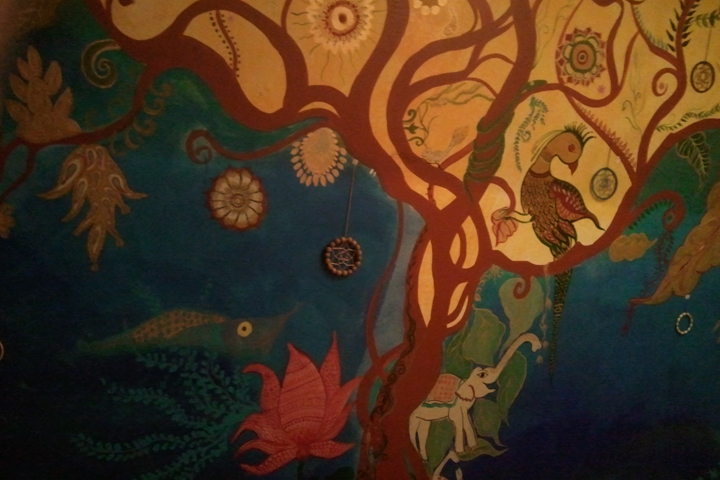 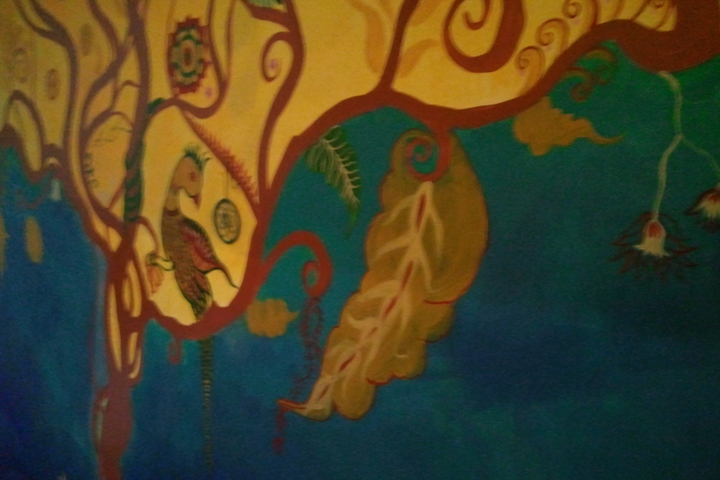 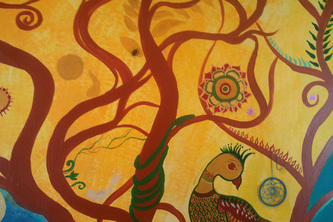 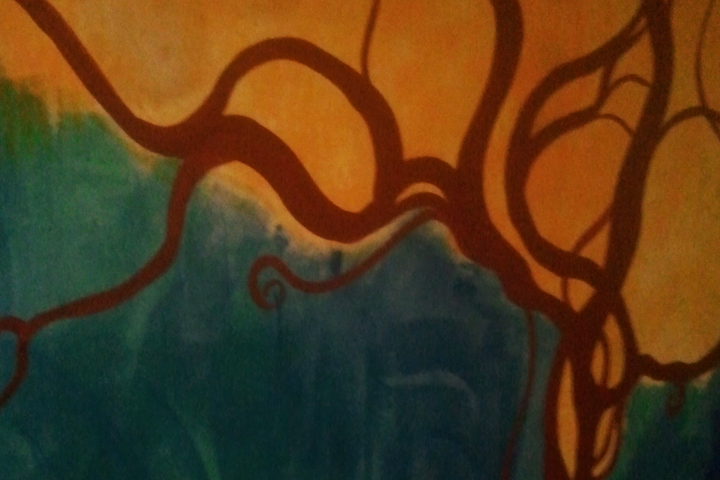 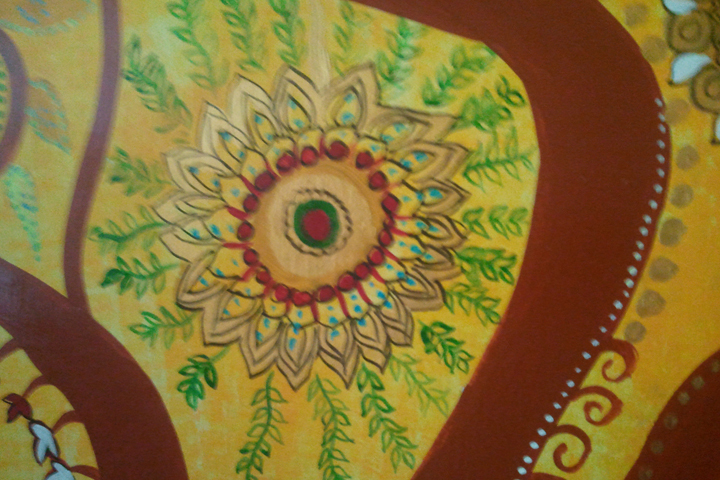 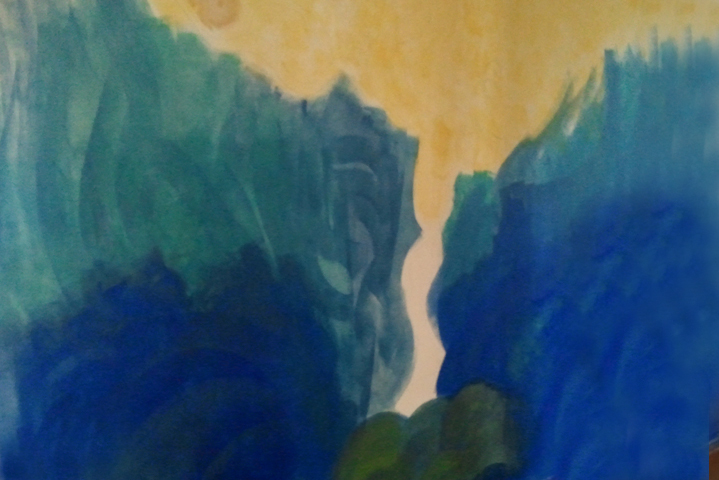 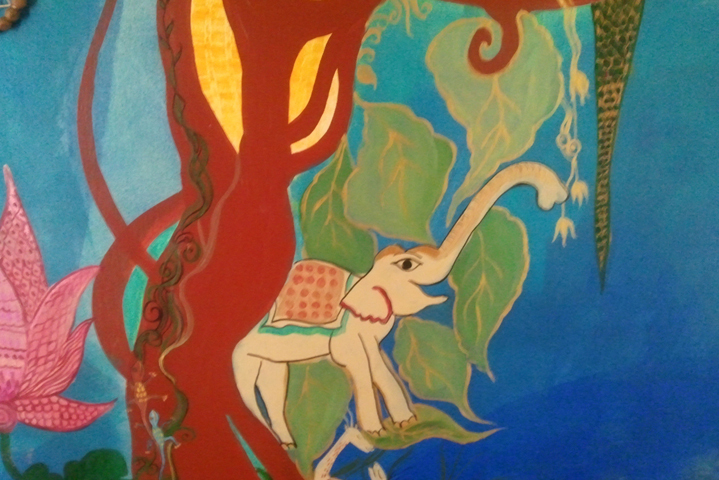 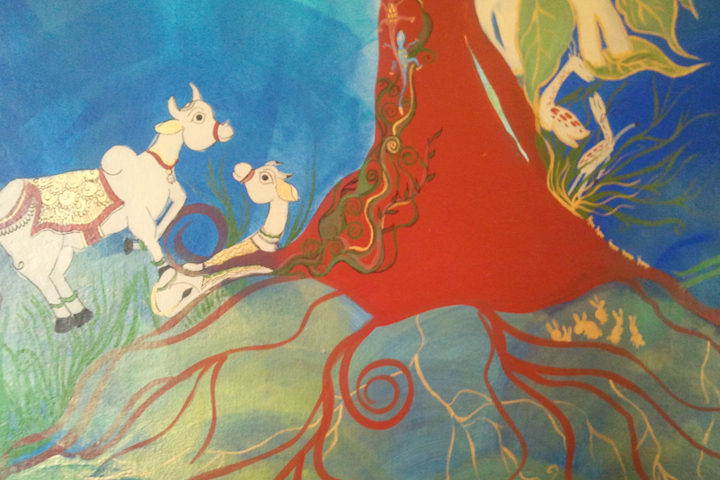 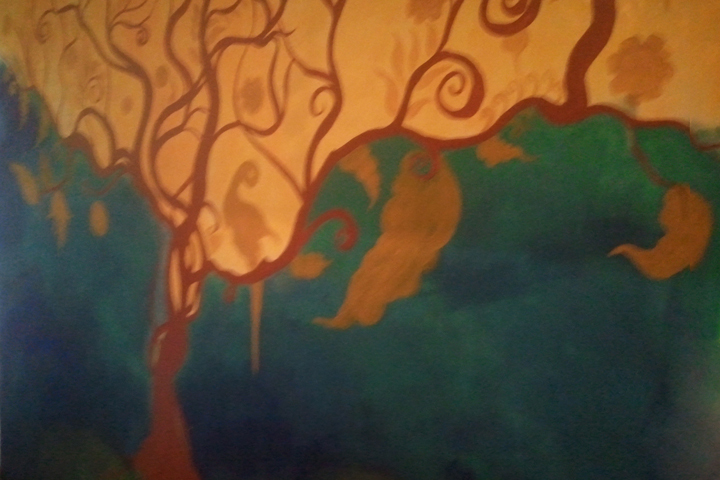 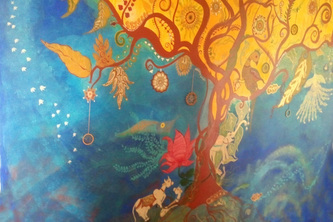 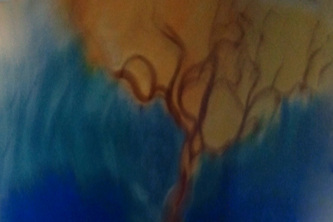 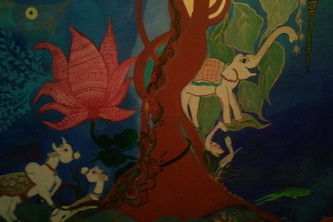 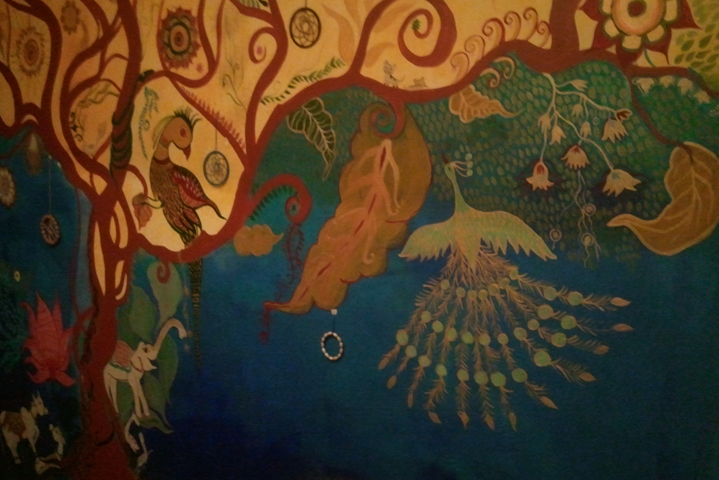 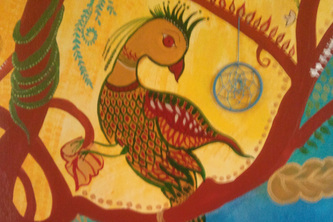 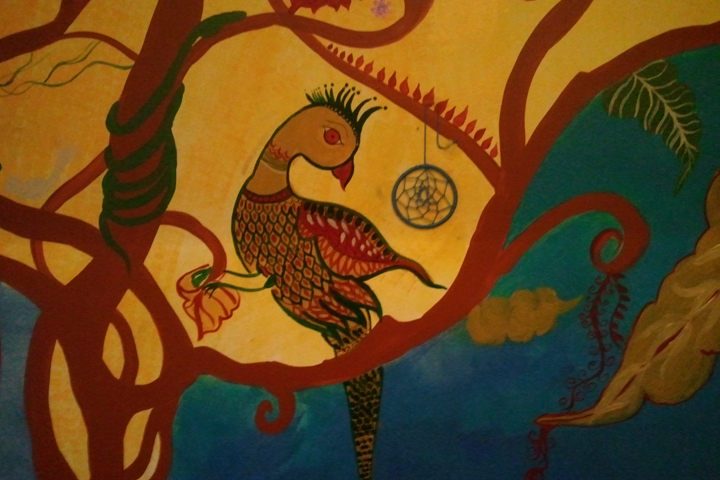 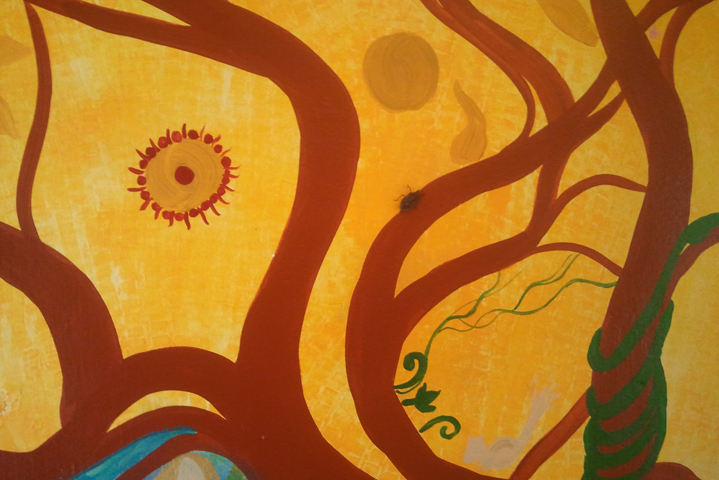 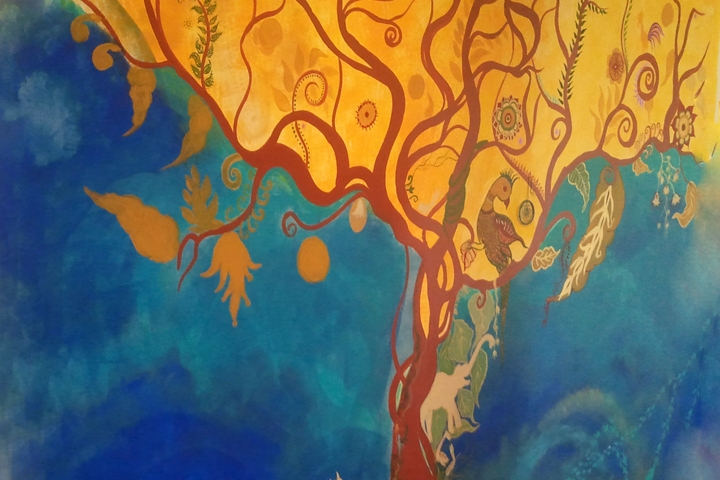 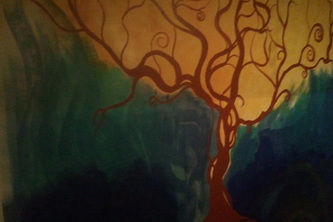 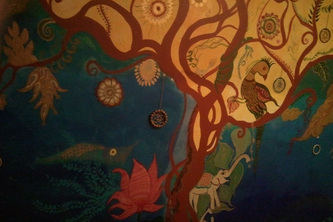 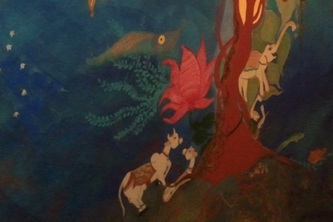 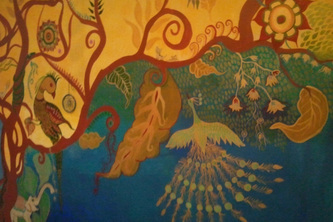 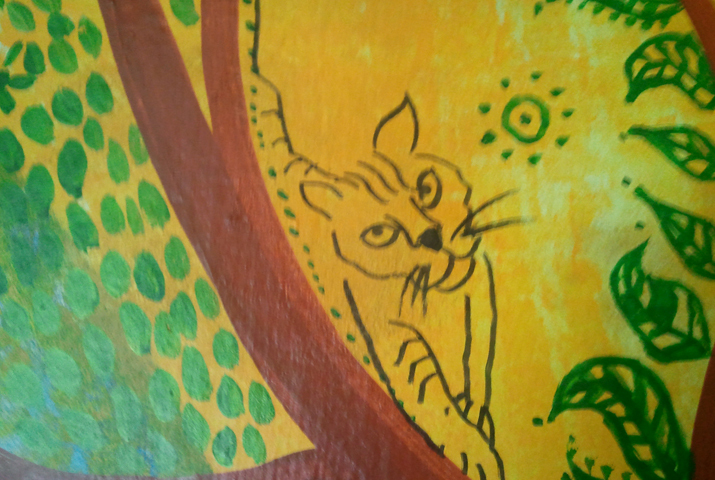 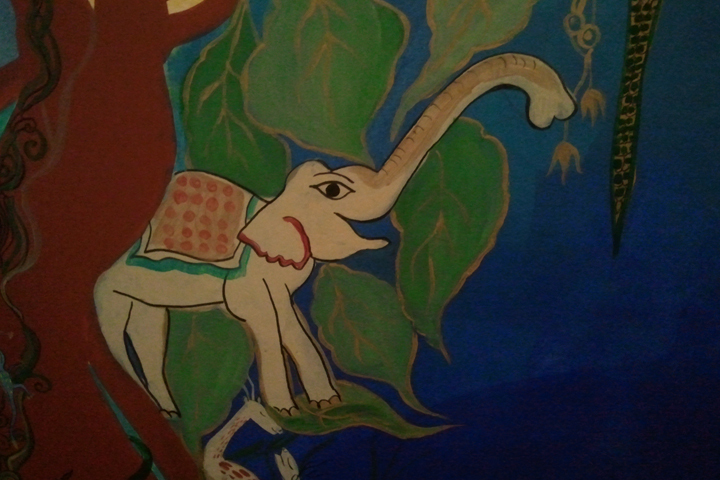 "The Tree of Life" mural that I did for Jaya Madhavan and Madhavan, my good friends and wonderful artists themselves, was an enchanting experience where I explored freely, letting the house and its people tell me their needs, and share their dreams. The tree, the ocean, the sky, and all the creatures, came of their own will, connecting and stitching themselves into the lives of my friends. 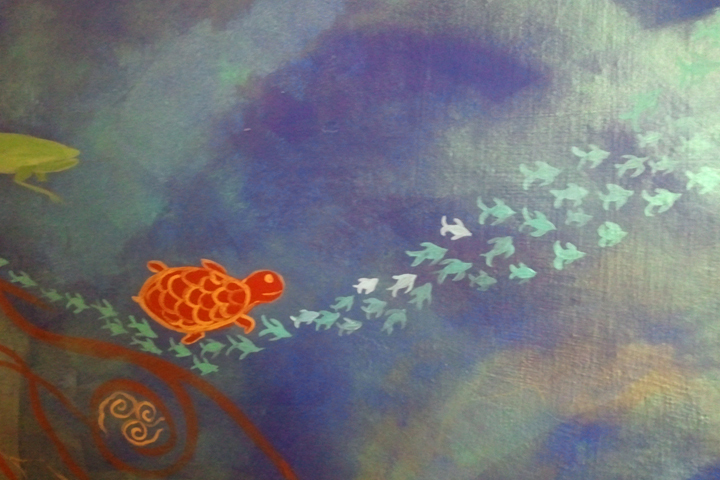 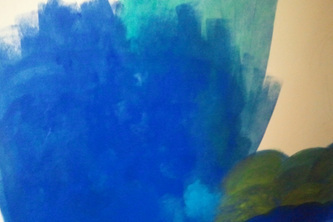 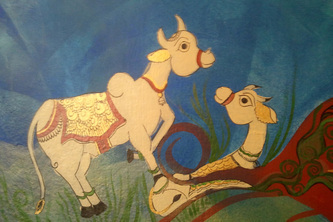 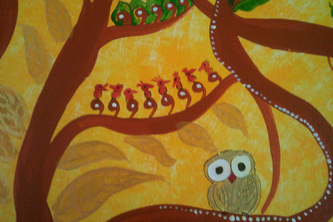 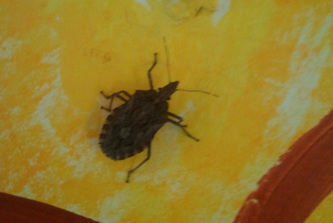 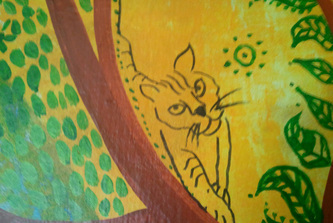 And beautiful bugs and insects visited us, probably attracted by the colours as I was painting. 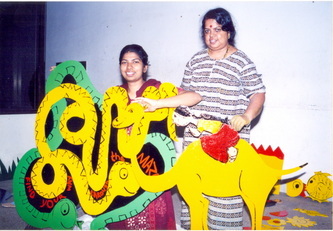 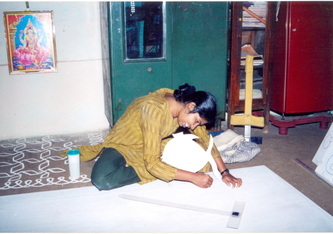 With Madhavan, making the exquisite dream catchers to add to the spirit of the painting and performing a full length concert one of the evenings when I worked, the workspace turned spiritual and magical. 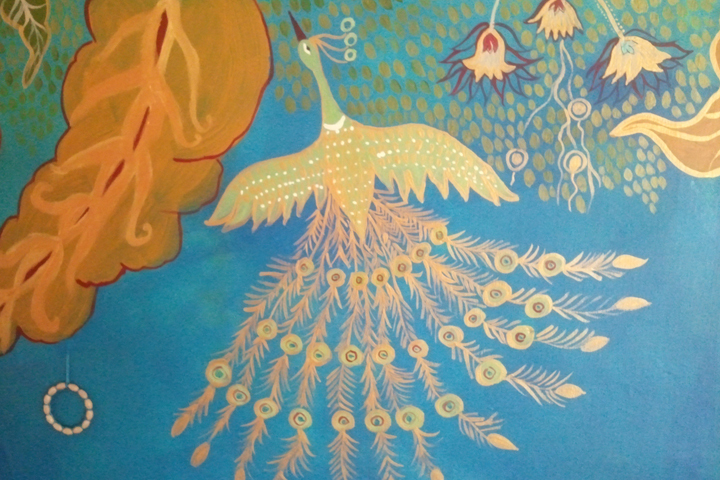 A special moment was when Jaya messaged me to say "the Seven sisters are visiting us. 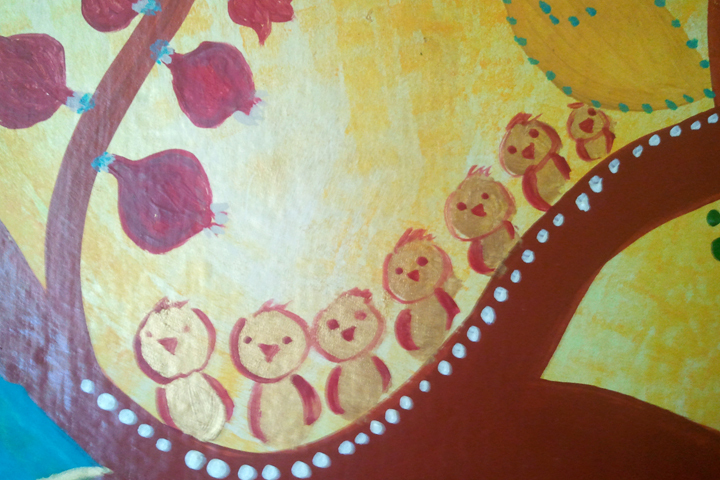 And when we went back and counted the birds on the tree, there were 7." 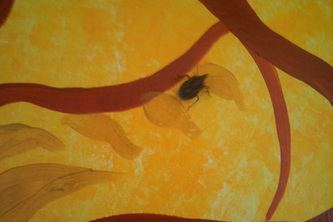 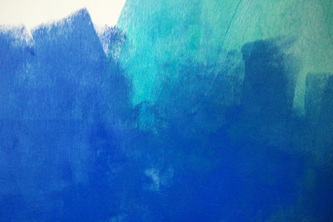 Due to time constraints and the amount of intensity it requires, I take very few selective projects.